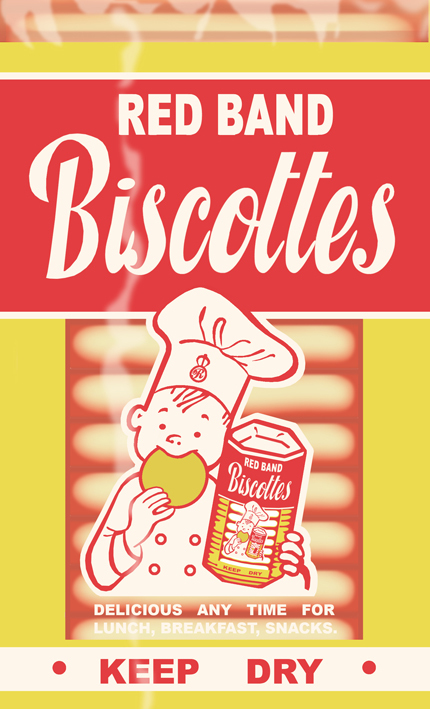 A recreation of the Nabisco-inspired version of the packaging. This week I had the urge to be creative, instead of putting together a long-winded researchy kind of article because -I seem to have done a stack of them lately. I feel like I am starting to build up a good body of work here for people to flick through so there isn’t such a pressing sense of urgency to pump out a post every week. Plus I need some variety. Oh, and did I mention busy – yeah, busy! 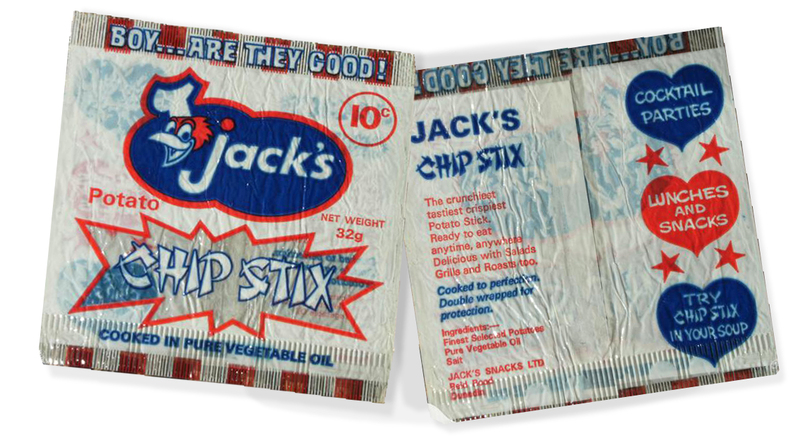 Anyway, when I feel like that I get back to my no-brainer list of long-lost packaging pieces I aim to recreate. And yes, “researchy” IS a word – because I say so. 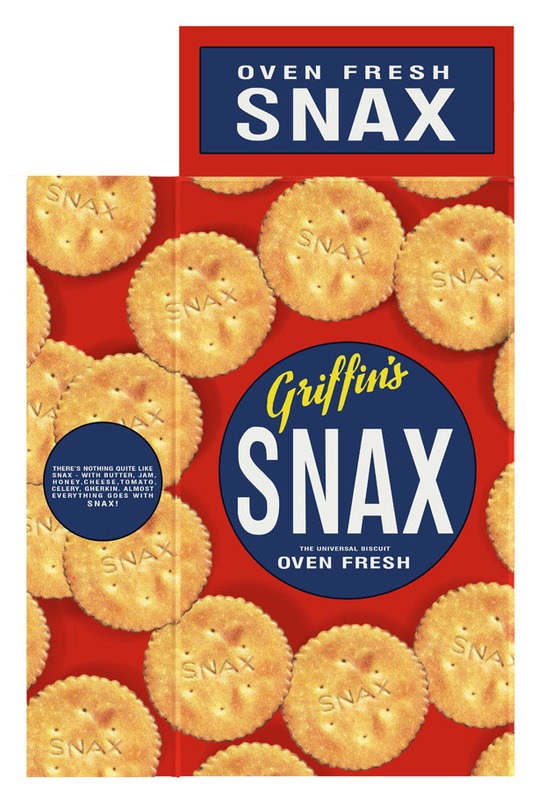 Griffin’s Snax biscuit box. K E Niven and Co: Commercial negatives. Ref: 1/2-209798-F. Alexander Turnbull Library, Wellington, New Zealand. 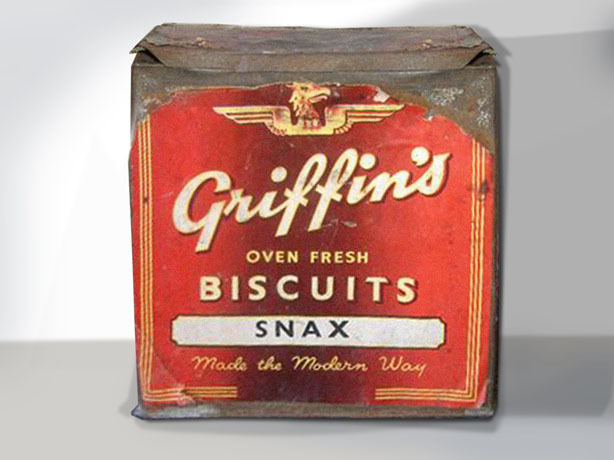 I’ve been wanting to cobble this Griffin’s Snax box back together for a while but it just sort of “happened” in quite a fortuitous way. First I found a stack of vintage product pictures that somehow in my travels over the last couple of years I’ve missed. There were lots of great things, and a good picture of this box was amongst them, I get the feeling they were done for Woolworth’s advertising, but it’s hard to know. 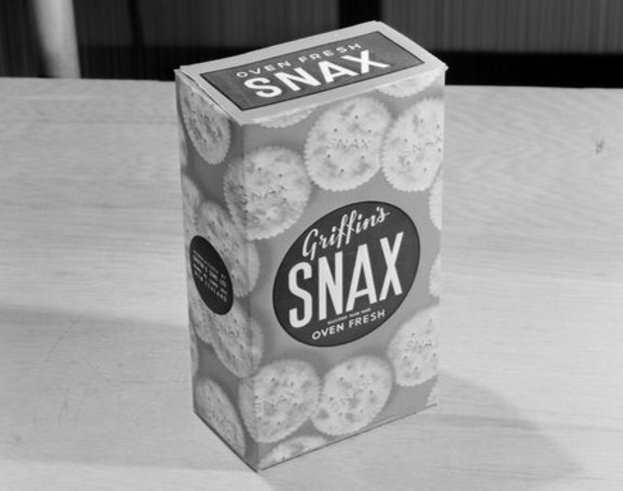 This Snax box is probably a version somewhere between the early to the mid 1960s – more of the former. Unfortunately none of them have any dates. An advert from NZ Pictorial magazine, Feb 1954 issue. Then this week, I missed out on a TradeMe auction of a magazine with a Griffin’s ad in it that I really wanted (weirdly, for such a big, long-running brand it is quite hard to find Griffin’s print stuff, but not as hard as Hudsons and some other unexpected things). I tracked down the seller all frantic and asked if I could possibly get a scan of it. “Guess what?” they said, “you’ll never believe it but we have an extra copy of the exact same issue here.” Sold! It does pay to chase people around persistently, I’ve learned over time. A 1934 American version of Nabisco’s Ritz crackers box. The Snax box is a fairly simple design but quite striking. 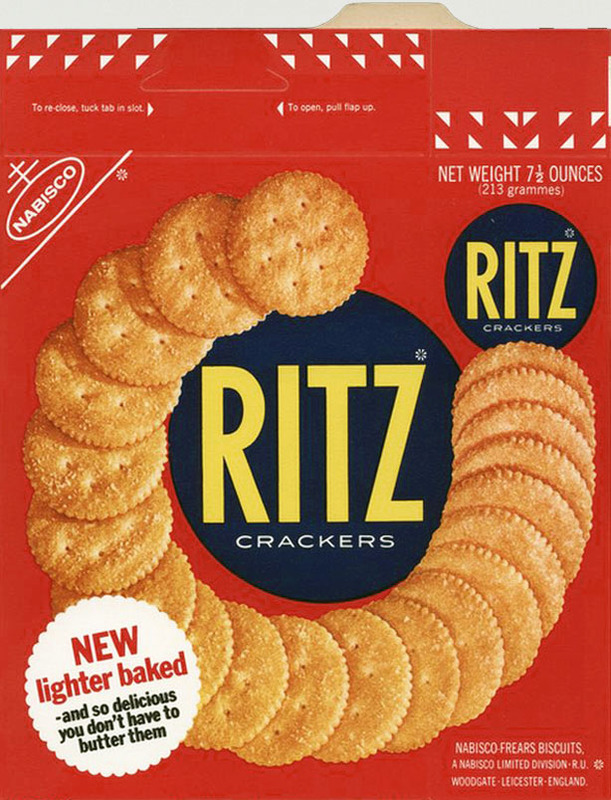 Also, it’s uncannily similar to Nabisco’s Ritz (I think done by Kraft in Australia, or was). It was definitely “inspired by” Nabisco after they came along. However before Nabisco turned up on the scene – they were in a tin or a bag that was pretty much the same as every other Griffin’s product. Snax have been around since the 1930s, and neither they nor Ritz have changed very much over the decades – same cracker in the same basic red, yellow and blue box. 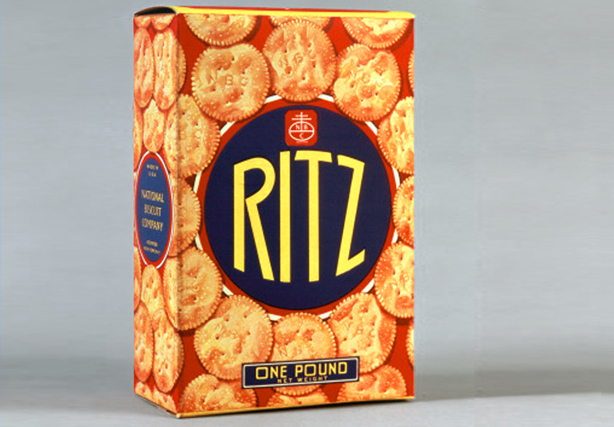 A Ritz Crackers box, by Nabisco UK, 1960s. Image courtesy Jason Liebig collection. 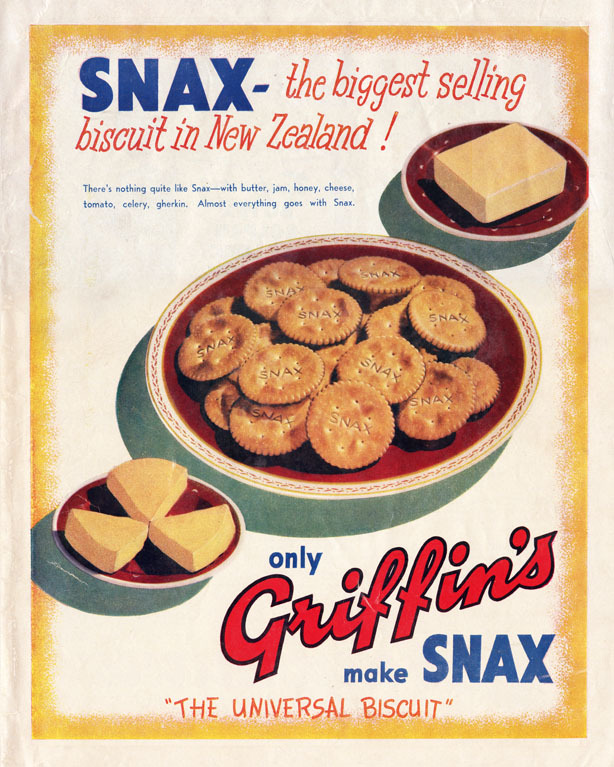 Nabisco owned Griifin’s for some time, from 1962- and introduced quite a few American products onto the Kiwi market (or tried) – like Magic Puffs, Giggles, Little Crackers, Little Pizzas, Hostess, and Chicken In A Biskit. I don’t know if they ever introduced Ritz crackers – there was probably no point messing with a good thing, apparently New Zealand’s “best selling cracker”, if you believe the marketing, by foisting a product onto the marketplace that was basically looked and tasted like the same product. This was the best way to impose their pre-existing brand on an established, successful product and simultaneously give it an identity of its own. 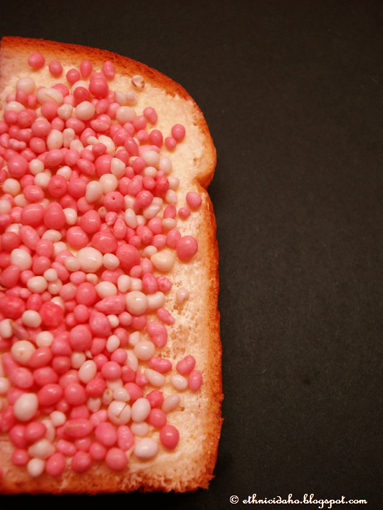 It’s still around today on supermarket shelves and although the design has been updated, it’s still fairly similar. 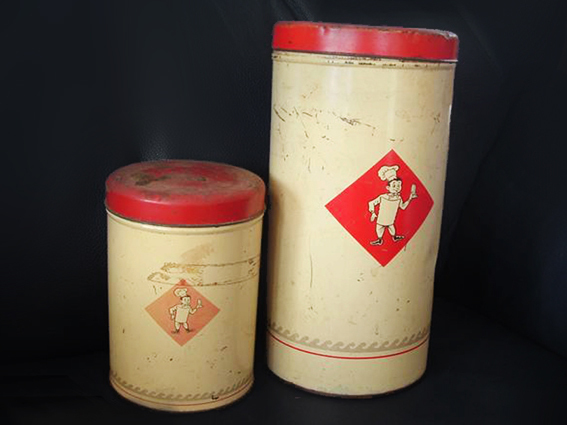 A 1950s version of the Snax tin. 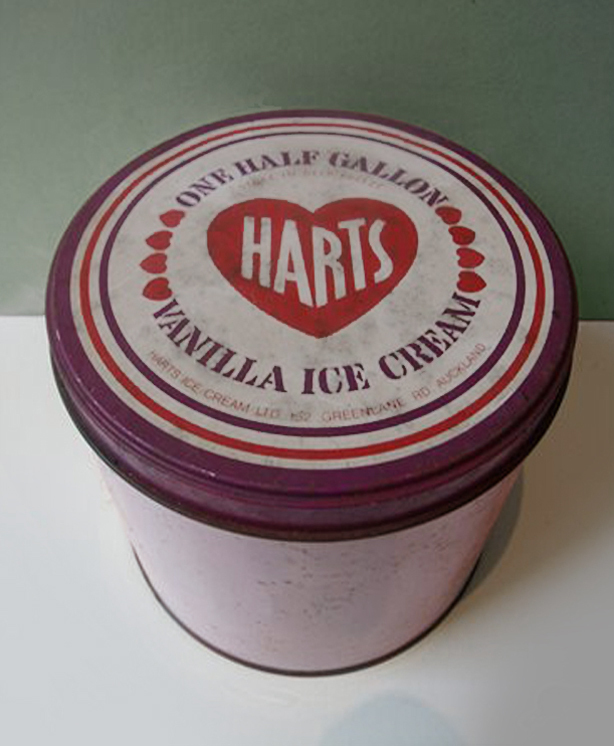 I remember my grandparents having one of these in the cupboard. The version of the cellophane bag from circa 1959 can be seen in this earlier post here. Far out, even my plans to get ahead have fallen behind. My quickie post on Aulsebrook’s Iced Vovos versus Arnotts at the end of February caused a storm in a teacup off-site. 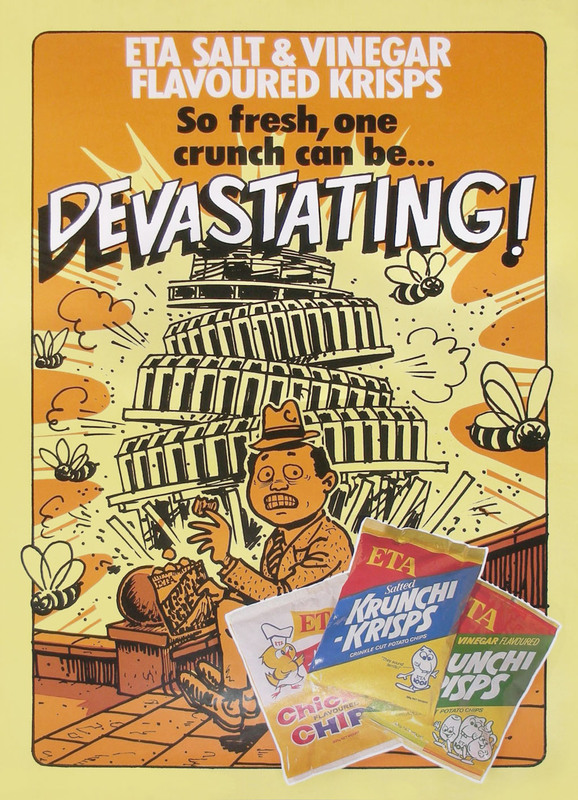 If you think that deconstruction was irritating, wait until I shatter your illusions on the history of Marmite and the perception of it as a New Zealand brand; you may be surprised to discover that technically – Kiwiana it sure ain’t. 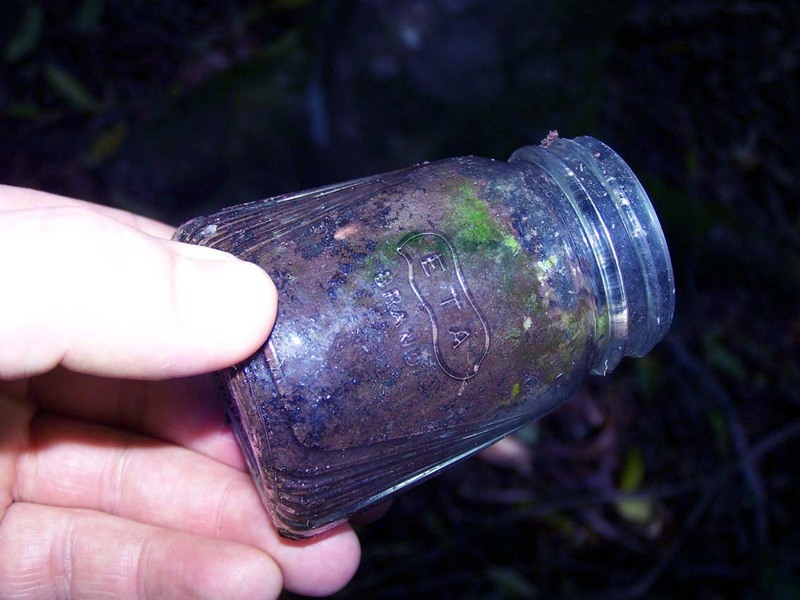 This week is really the perfect time to tackle it with the shortage furore going on, and cracked out New Zealanders trying to sell opened jars of it for up to two hundred dollars on Trademe, but I don’t have time to stop and do that too. (I’ll refrain from elaborating on delusion and stupidity of people trying to pass off trash as treasure in the collectables category, I think everyone knows my feelings on the majority of the traders that ply their utter rubbish on there for hiked up prices). Anyway that brief piece was meant to be a mid-week catch up to get me back on track to a post every week, that’s at least 48 posts a year. That’s actually quite a goal as it turns out – especially with my seeming inability to keep things both simple or brief. As it turns out endless computer problems have kept me offline and out of the loop for the best part of a month. Yes, the house is very clean, and everything is organised, a sale pile has been created. However I am now more behind than ever! You can’t win. I’ve got big stories coming up on the Sunrise Cordials brand and the Gallien Chemist enterprise, and also the next, and most significant instalment of the Peter Pan Frozen Foods story. I actually completely invented the cooking instructions text, because I can’t read it at all in the original photo. I tried to use current products as a guideline for accuracy. 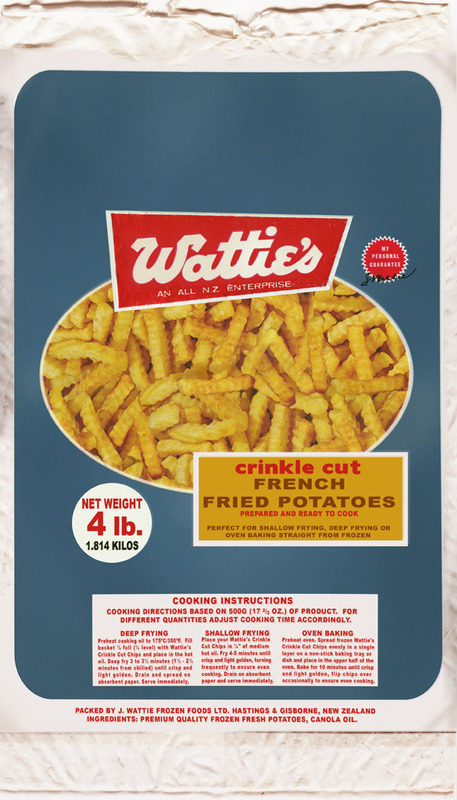 I’m trying to avoid posting too much more on Wattie’s, but it is one of the country’s all time biggest and most successful brands, so I guess that’s just how it plays out. I’ll be back in a few days with the Denne Brothers again, so until then. Not so long ago, I wrote in my entry about Huia Cheese “When Lactose Goes” https://longwhitekid.wordpress.com/2011/05/31/when-lactose-goes/ as following: “Sadly, sometimes my attempt to uncover information about a long-lost brand just simply reaches a dead end, before it’s even started”. Well, this one is really going to make that post look like a novel. 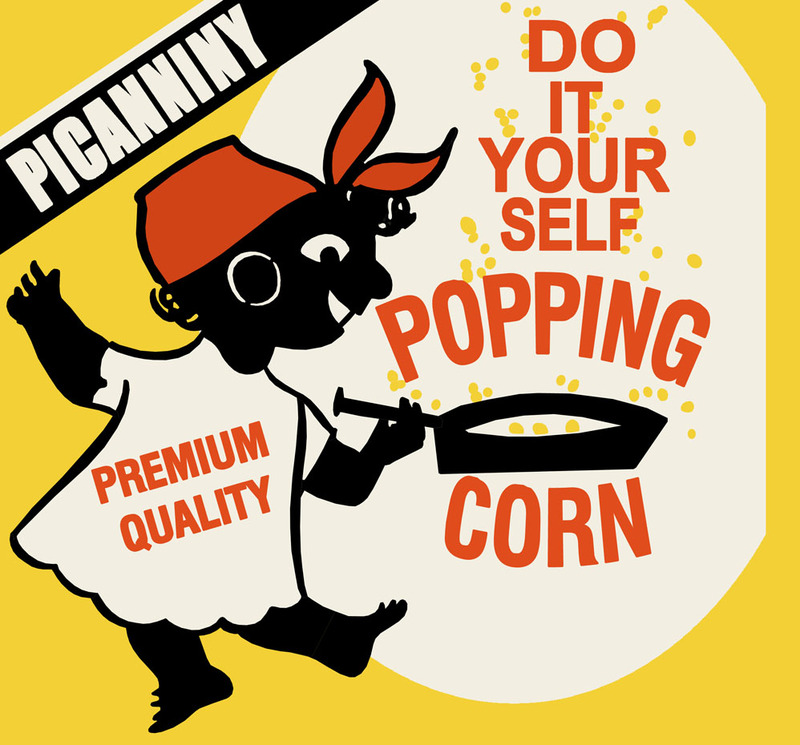 What do I know about “Picanniny (sic)” popping corn? Just about nothing. I have searched high and low for any lead, and there’s nada. It looks like American food company Conagra (Peter Pan Peanut Butter, Reddi-whip, Banquet Dinners, Chef Boyardee etc) registered some trademarks here for popping corn but there is no further information as to dates or really anything that makes my antenna go up as to a relation. I feel quite confident in saying that this product was not from the U.S., for Americans would not make two spelling errors in the word “Pickaninny”. 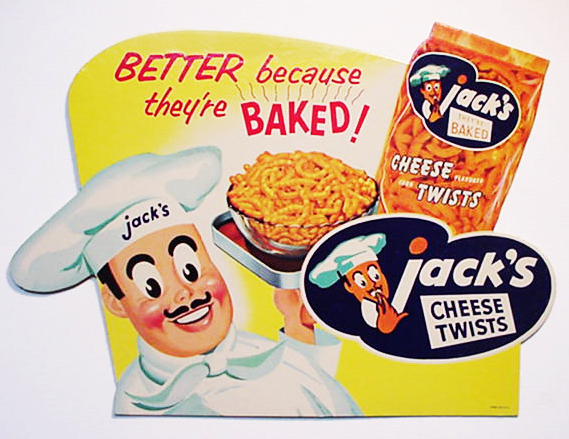 Nor would they have tolerated such a grossly racist and offensive stereotype so late in the game – I stole this from the family kitchen in the late 1980s and I remember it was available at Foodtown supermarkets back to the 1970s. The design looks mid 1960s. 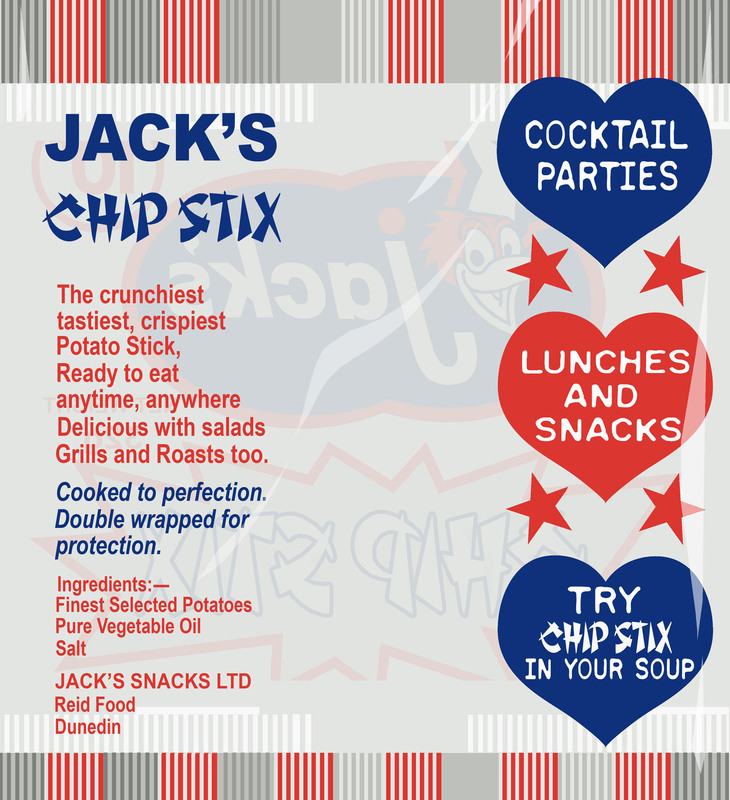 I do remember that the packet was a thin clear plastic and how the colours were laid out more or less, which I have reproduced to the best of my ability. 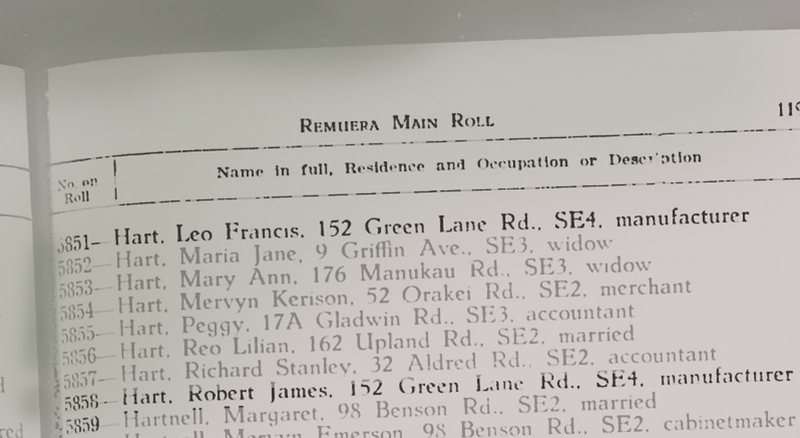 In fact “Picanniny” seems to be a particularly Australasian corruption of the word and Papers Past contained several images of Maori children labelled as such. 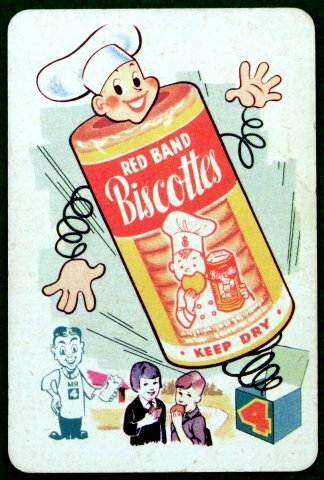 I also found this; a Bycroft biscuit brand which I am sure is no relation yet it is spelled in the exactly same strange way. It seems, however, that “Picanniny Biscuits” didn’t actually stand the test of time as claimed since they were advertised for two years and seemingly disappeared after 1898; just a drop in the 90 year long history of that company’s life which ended with the birth of the heritage movement in NZ via the demolition of Partington’s Mill (you win some, you lose some). I recreated the graphic from a very shoddy copy on acetate, that I’d made twenty years ago obviously intending at some time do something with it …back in the olden days when I used to do everything by projector. 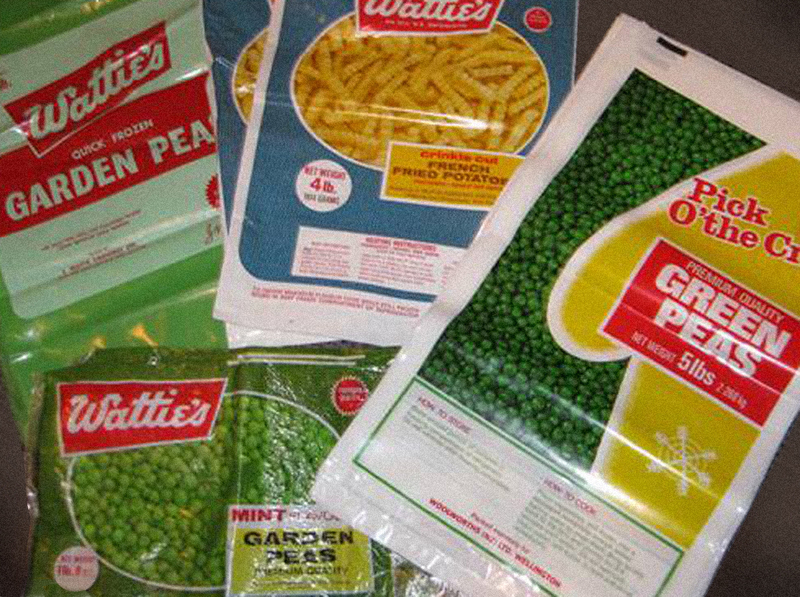 I assumed I had probably kept the original packet but I haven’t seen it around last I sorted through my archives. There’s a chance I have and there may be some more information as to the manufacturer, but I think I probably just cut out the front panel. I won’t gripe again regarding lack of newspaper records post 1945, and just say C’est la vie, instead. 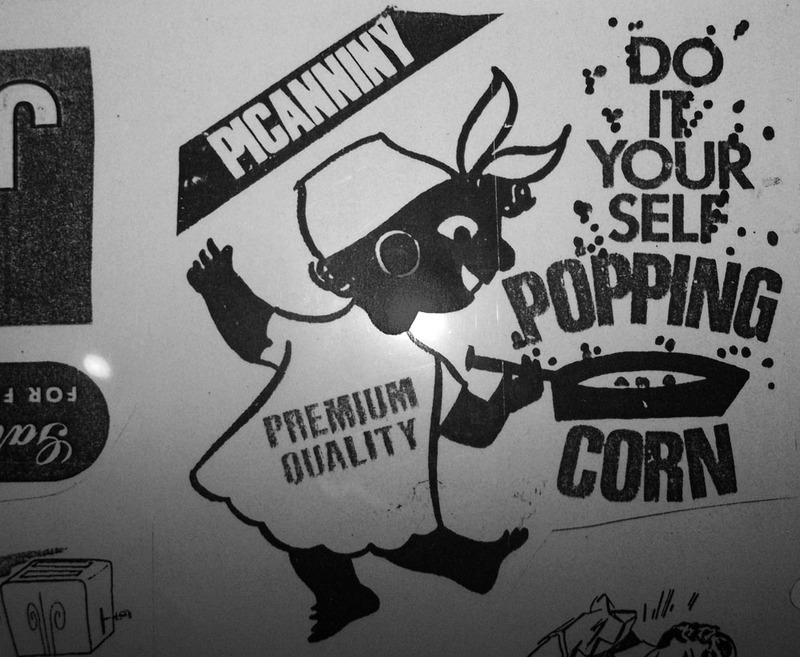 Update, late March 2015: I suspect that I may be onto something as far as Picanniny popping corn’s origins. As I theorised, I felt it probably was a Kiwi brand even though it was very American in appearance. A few months back, this tin can for Fun brand popping corn appeared online. 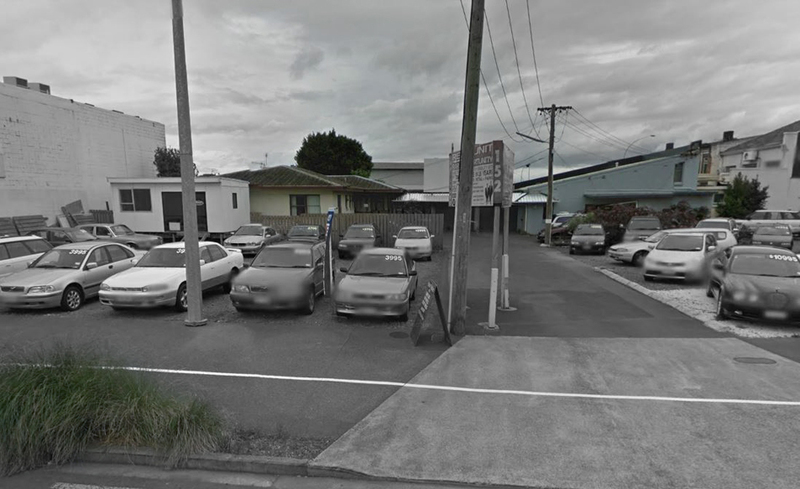 It was made by Fla-Va-Tru, a company originally based in Masterton that I’ve been aware of for a number of years. They were most well-known for a host of exotically-named food flavouring essences from the early 1940s onwards, as well as chop suey sauce, icing sugar, maple syrup, and milkshake flavourings. This is probably the earliest example I’ve seen of DIY popping corn. In the 1940s-1950s there were brands like Hi-Pop, Onehunga Popcorn, and Bango but these ones all appear to be pre-popped, most likely for cinema consumption. It’s the graphics of the can that convince me there’s a connection – both style and colour convey that there is a relation between Fun and Picanniny. Well, I can see it anyway. This bag came up on Trademe quite some time ago, perhaps as long as three years. I remember it from my childhood around the mid 1970’s although the design was already pretty dated then. 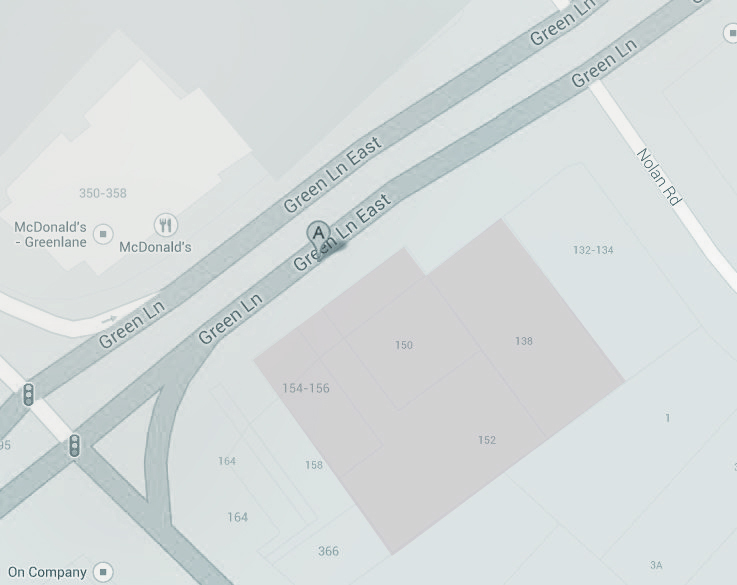 I bid and lost the auction, but I kept the image intending to eventually recreate the graphic, which I have done here. however I did run across this, which is interesting. It is a POS from the very extensive collection of Dan Goodsell, artist and creator of the Mr. Toast character. A Flickr “pro”, his images number over 7,500 and most of that is vintage packaging from his collection, making him one of the biggest authorities on the genre. 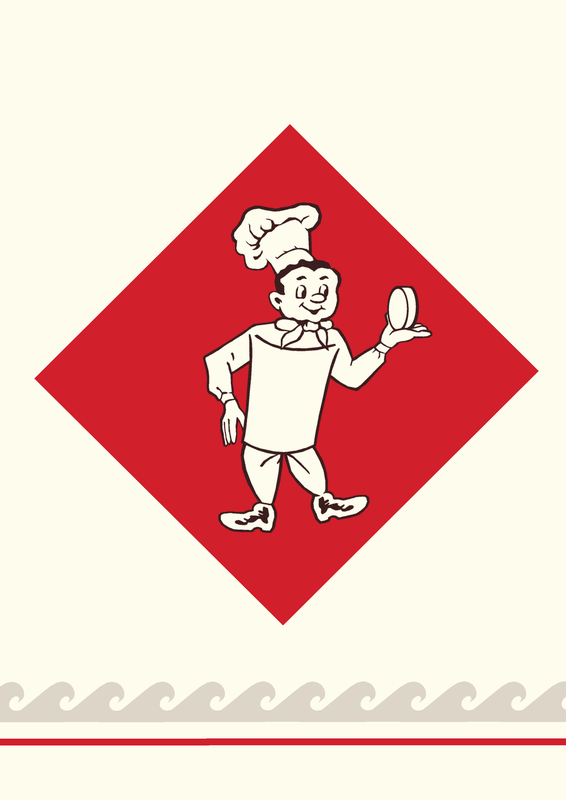 There are many points about the branding that make it clear there is some relation – the name, the colours, font and layout – It’s really the same logo except instead of the human chef it had a bird wearing the hat. so I asked him what he knew of it. 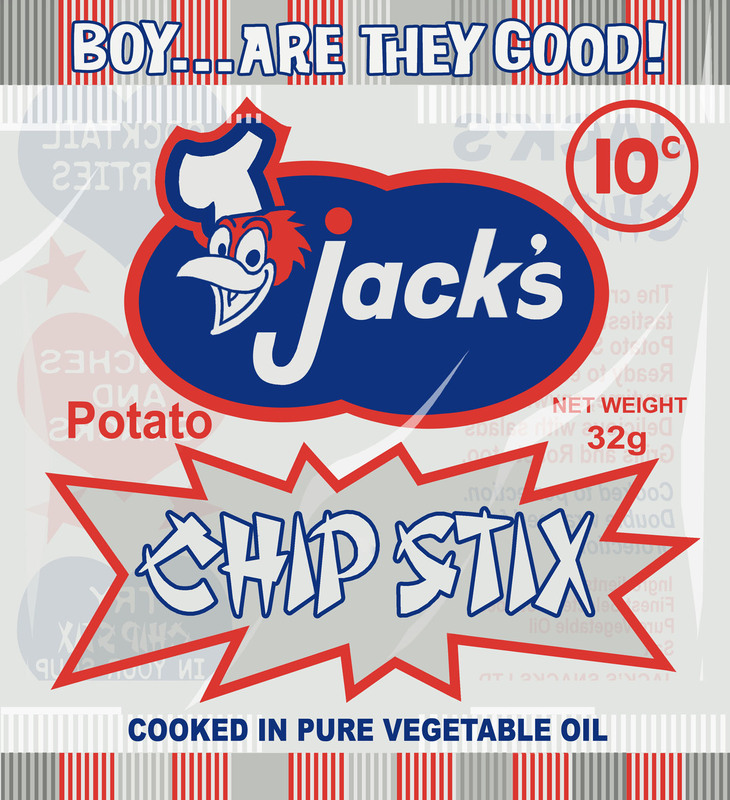 “I think Jack’s was a 1950’s local California Chip company. Probably it has no relation to the New Zealand brand. 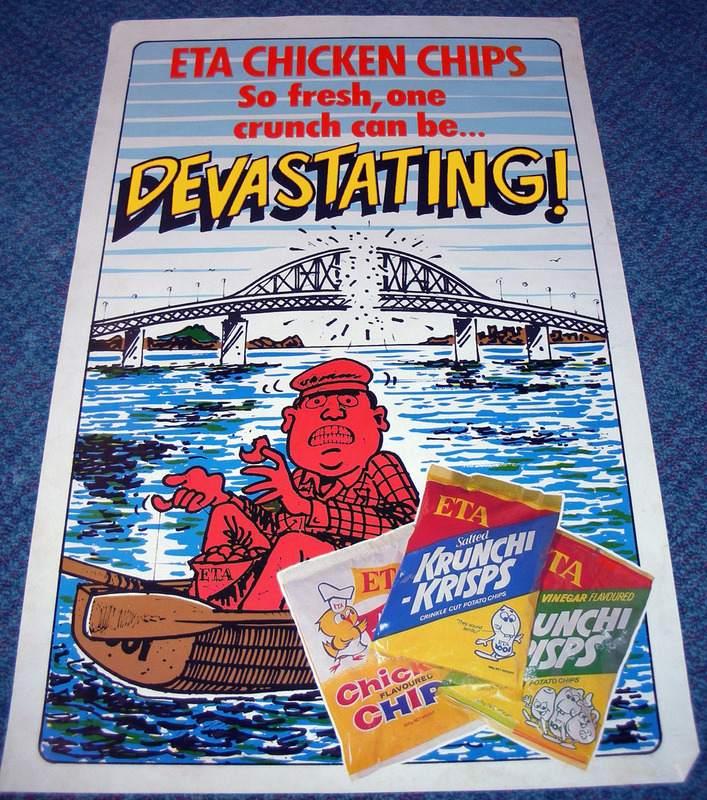 Most of the US potato chip brands were just small local manufacturers. 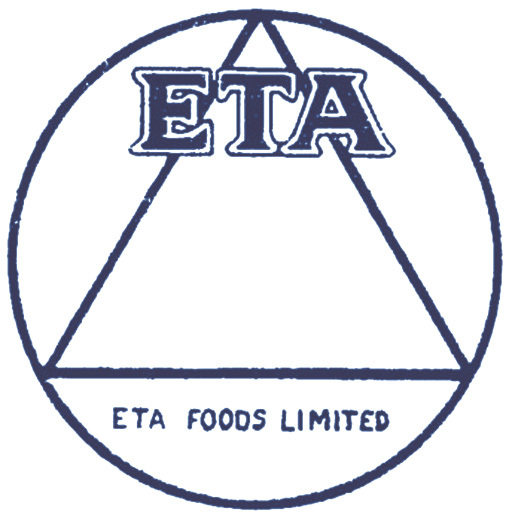 Only later in the 1960’s and beyond did larger companies consolidate and take over or push out the smaller guys. So I would guess it is no”. I wonder if it was made legitimately under a licensing deal? or just “ripped off”? Dan’s answer makes me think that it was very closely inspired… lifted,…well let’s just call a spade and say it’s been jacked, figuratively speaking. 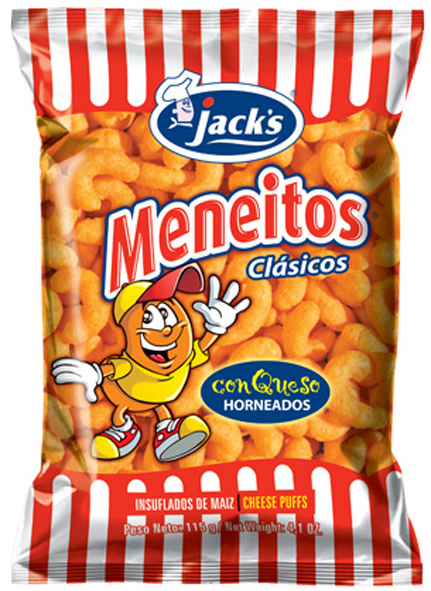 In my Google travels I located this company in Costa Rica that is still making a product called “Jack’s” today. Interesting how similar the logo is….what do you think? I’ll stick with the “appropriated” scenario in both cases! I am sure eventually more information will turn up but until I am delivered more clues by the research gods, I’ll just have to be satisfied with what I’ve got. This is as good an example as I can show of how I go about recovering artwork for long-lost household product, when there isn’t a lot to work with. 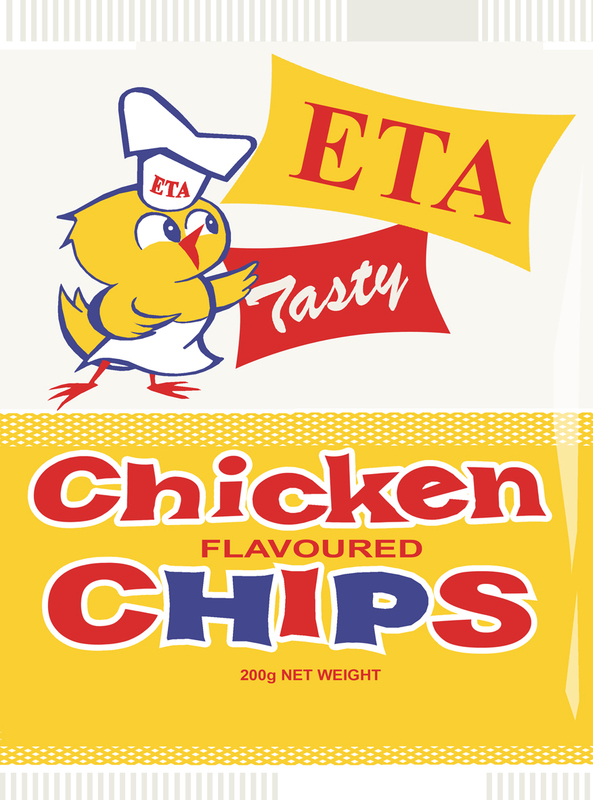 Last week I found this wonky photo – not even the original poster – with some of the old ETA products from my childhood; only a fragment of the chicken flavour chips package, and it was hidden behind the others. I really loved this even back in the day as it was already retro-looking then, having not been revised for a very long time, or at least – very out of step with the current graphics trends of the 1980’s. I wasn’t able to find any references at all which I thought was amazing for such a popular product over the years. So with a lot of work with Adobe programs, and some imagination as well, I was able to reconstruct the design. I’m not sure about the vignette that says “tasty” – I can’t at this point in time find out what the word was – so until the moment comes I just used creative license. So it’s not 100% accurate but I am pretty happy with the results!